Although mental health awareness is still relatively low among Malaysians compared to other countries’, it’s cases like this that might help to remove some of the stigma associated with it. 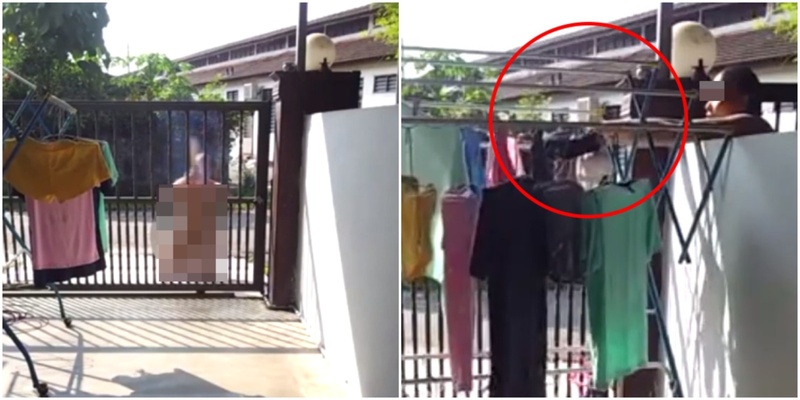 An elderly man was spotted praying in front of a house with joss sticks, then stealing female underwear from the drying rack inside the house compound. The head-scratching incident came to light after three clips went viral on a Facebook group, attracting a flurry of reactions from netizens. According to Kwong Wah, it is said to have occurred in Taman Sukun, a residential area in Bukit Mertajam, Penang. 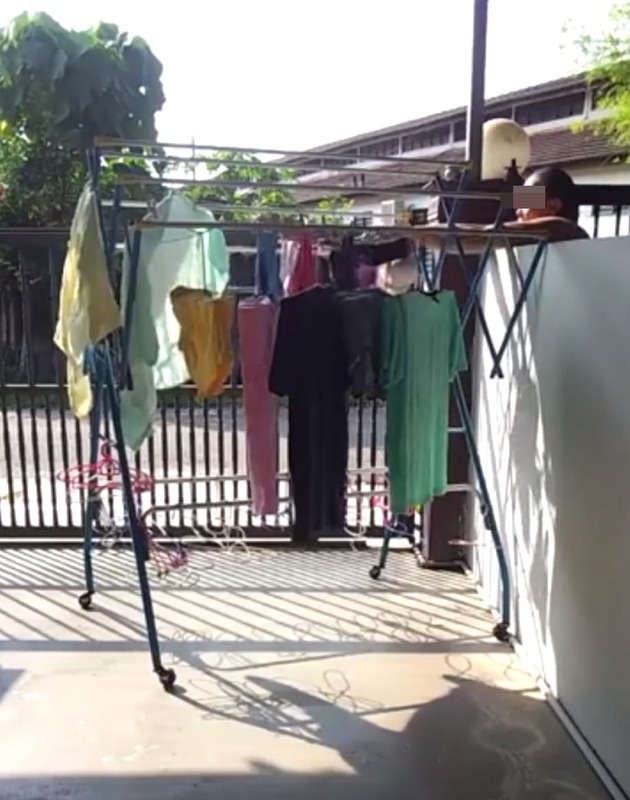 In the clips, the fully undressed man can be seen holding a pair of joss sticks, then kneeling in front of a house, and praying in front of a dryer rack. Before doing so, he looks to his left and right, as if to make sure there aren’t any passersby. After that, he walks into the house next door, and extends his hand towards the drying rack, stealing a pair of female underwear. The footage makes it appear as if he’s trying on the garment, but he puts it back on the rack soon after, only to take another pair and return it again. On his third try, he attempts to steal a bra, but when he does not succeed, he settles for a third pair of underwear instead. While there were some netizens who condemned his actions, there were also others who questioned whether he might be suffering from a mental illness, and expressed hope that he would seek help. Sin Chew reported that the man has actually been seen exhibiting similar strange behaviour for some time now, and the house’s resident has already lodged a police report. This strange happening is a most peculiar one, and while we can’t claim to know all the facts, we do agree with the netizens who believe he is being plagued by a disease. Take note: no two mental illness cases are the same. If you know someone who you suspect is suffering in silence, please encourage them to talk about it and/or seek help!